It is hard to believe, but for many years the industry standard method of connecting ducts was to use duct tape! We all know how long tape lasts. Look at some of your old documents and you will see that the tape has lost its stickyness, it is brittle and faded. The same is true with the tape on your ducts. If your duct system has never been pressure tested, call us. Our technicians carry a piece of equipment called a “duct blaster” that is used to pressure test and identify just how leaky your duct system is. For some older duct system, we may find that it is better to consider replacing the entire duct system with new ducts that are clean, insulated, tightly sealed, and designed to deliver optimal airflow to your home. Duct leakage can create serius health hazard risks by altering critical pressure balances in homes. These imbalances can literally bring deadly carbon monoxide containing flue gasses into your home. Leaks on the return air side of your furnace duct system can also create health hazards by drawing toxic chemicals, mold, allergens, humidity, dust, crawlspace pesticides and other contaminants into your home. Upgrading your duct system is frequently the first step to a healthier and energy efficient home. And speaking of duct design, our technicians and installers are actually trained to use the Air Conditioning Contractors of American Manual-D standard to design, layout, and size your duct system deliver hot or cool air EXACTLY where it is needed to be delivered. We install, repair, insulate, seal, fix, and design duct systems that will perform for you. 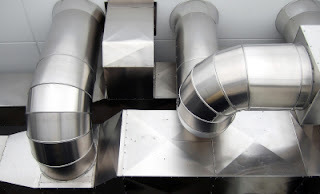 Depending on your project, we can engineer ducts systems that use sheet metal, wire flex, or alumaflex for your home. Thanks for sharing the duct cleaning installation and repair services tips! impressed a lot. Really it was having the unique content and informative post. Duct and system cleaning will remove the dust, debris, paperclips, toys, pet hair and whatever else has gotten into the system. The cleaning becomes necessary when some sort of situation occurs in the houses. Like the system stop the working or not providing the service according to the needs.